2018 Olympics is around the corner. Become the manager, and control your team to win the title at the football simulation web game. Whatever you are playing European, Chinese, Japanese, or South Korean version of FootballDay. Many events are waiting for you. 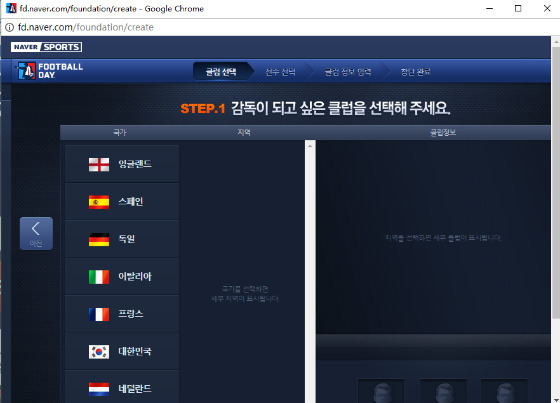 Recently, some players asked me how to play Korean version FootballDay Naver if they are not living in South Korea. Finally, we find the way to play KR version FootballDay. Please let me show you how to play Korean version FootballDay on Naver. But only verified real name Naver account can play FootballDay on Naver. 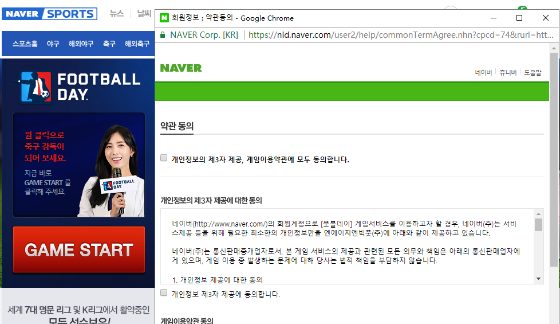 After register Naver account successfully, you can access http://fd.naver.com, but when you tap Game Start button, you will get the error message “Limited Access, your IP is currently limited to the service.” and “ Due to the geo-blocking system, you are not accessible to the service. If you have further enquiries, please contact the customer service (1544-6859) in Korea. ”. Check the photo as below. 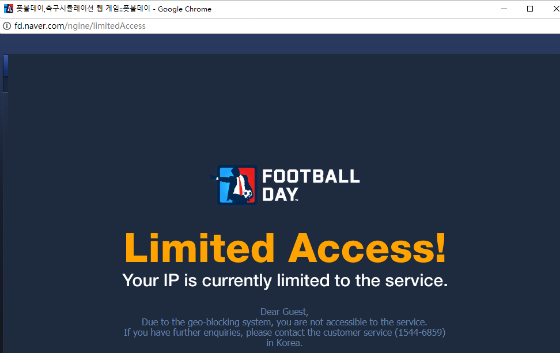 It means that Korean version FootballDay is only available to play in South Korea. 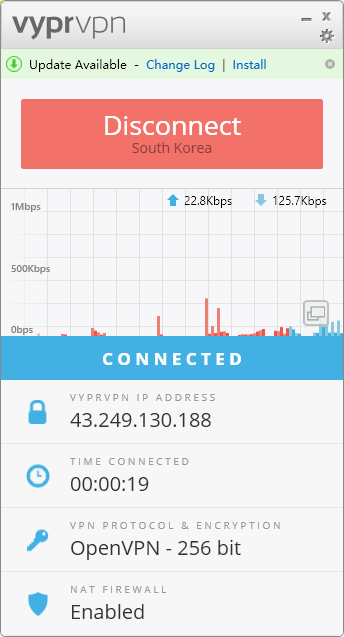 Hence, players should get connected to South Korea VPN to change IP address into Korea. BTW not all korea VPN will work. If one IP doesn’t work, please disconnect, then reconnect to get another IP address. Once get South Korea IP address, then you will not get the limited access page. But it will ask you to verify real name. If you have korean friends, you can ask them to verify your account. If not, ask help from OBTGAME. 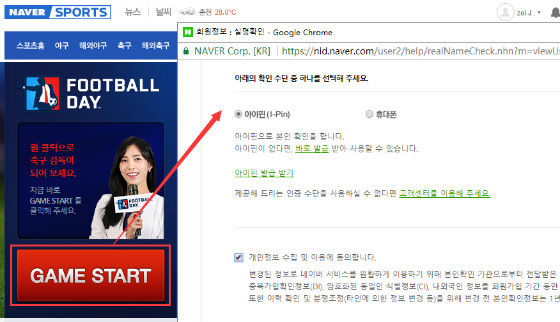 Now, then you can play FootballDay on Naver after verified your account. Require to verify korean ID. Verified real name account access this game, which requires to agree terms. 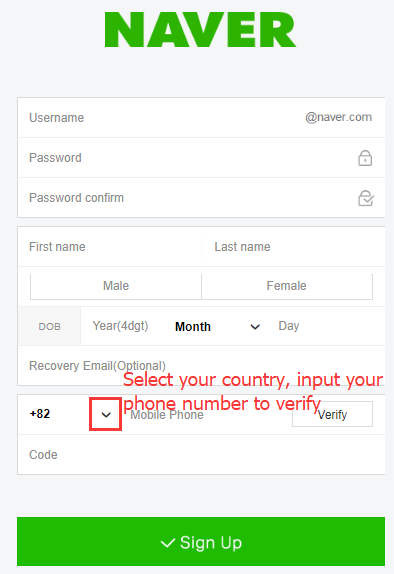 In short, you should get South Korea VPN and verify real name for your Naver account to play KR version FootballDay on Naver when you are living outside of South Korea.